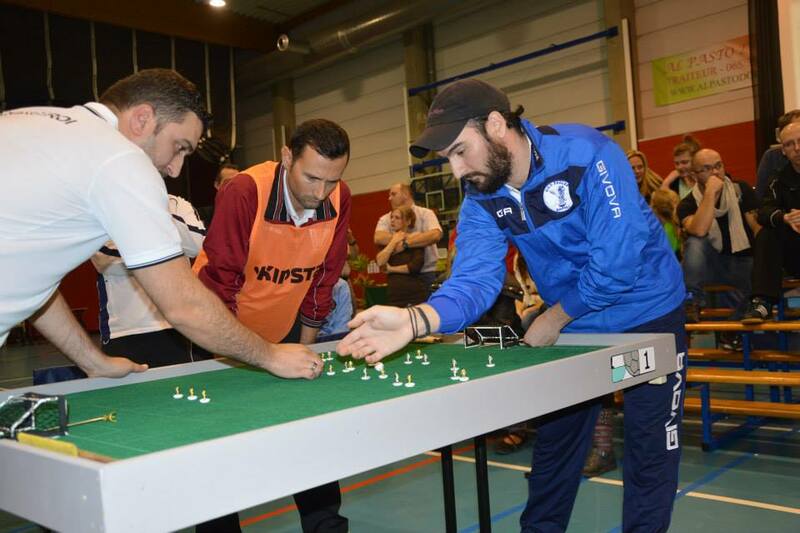 62 players recently attended the Grand Prix of Greece in Athens. The event was organized by the club of Athinaikos. Among the competitors, there were three foreign guests: Stelio Tsangouris from Belgium, Dave Gladman from Scotland and Alberto Di Maggio from Italy. Players were divided into three categories. Dionysia Koulosousa won the Ladies section, beating Eleni Koulosousa in the final. The 14 veterans were dropped in three groups. Marcos Kapsabelis, who plays this season for the italian team of Sessana, beat AS Hennuyer’s Chris Aggelinas in the final (3-2). There were 44 entries in the Open category. Nikos Beis (picture taken in Frameries), who won the Champion’s League with his clubmates of Eagles Napoli earlier this season, was the usual winner after beating Spyros Hantzaras in the final. Beis and Hantzaras were the top seeds of the tournament. Kostas Kaperonis and Velissarios Fragakis were the semi-finalists. The team event attracted 11 teams from 8 different clubs. The Falcons Athens retained their title after beating the home team of Athinaikos in the final. The semi-finalists were Pobladores Griegos and Roligans.